The 13th annual Cinco de Mayo Fiesta will be held this May 5 at Fiesta Gardens. Fiestas Patrias of Austin is proud to promote Hispanic culture by hosting various events throughout the year and, on Cinco de Mayo, you will get to enjoy live music, great food, and other traditional aspects of Mexico's rich culture. Hit the streets of Downtown Bastrop this May 5 and take a trip on the wild side with a pub crawl through some of the city’s best bars and restaurants. The event will take place from 6 p.m. to 9 p.m.with an admission fee of $30, which includes five drinks of your choosing at any of the crawl’s stops as well as experiencing the mariachi sensation of the Cinco de Mayo Pub Crawl. Crawlers are required to meet up at Copper Shot Distillery between 5:30 p.m. and 7 p.m. and start their adventure from there. Cinco de Mayo festivities would not be complete without dancing a little bachata. On May 5 from 4 p.m. to 11 p.m., join the 5th annual Cinco de Mayo Boat Party hosted by Austin-Inspired Movement. Get the full Latin-American experience as you dance to the beats of salsa, bachata, Kizomba, Zouk, and even some reggaetón while sipping on a few savory drinks during the boat ride. Before the party bus departs to the docks, you'll also be able to participate in the Battle of the Sexes Bachata Workshop & Challenge at 4 p.m.
Rancho Alegre’s Conjunto Festival is back with another great lineup of artists for this upcoming Cinco de Mayo weekend. The festival features amazing conjunto bands and musicians, and admission for the event is totally free. Venues for the Conjunto Festival will be Graceland Grocery on Friday, Stubb's BBQ on Saturday, and Sunday’s part of the festival will be held at One 2 One Bar. Additionally, don’t miss five-time Grammy Award Winner Flaco Jimenez headline on the big stage at Stubb’s Amphitheater for Cinco de Mayo in Austin. The 21st annual Cine Las Americas International Film Festival in Austin will be held from May 2 to May 6 showcasing some of the best feature films, documentaries, short films, and videos that are either about Latin culture or made by Latin-Americans, Hispanics, or any Southern indigenous groups. Celebrate Cinco de Mayo in Austin by witnessing some of the most talented cinematographers in the industry display their most recent work. The festival will be presented at Austin Film Society Cinema, Mass Gallery, and the Emma S. Barrientos Mexican American Cultural Center as well as other venues around the city. 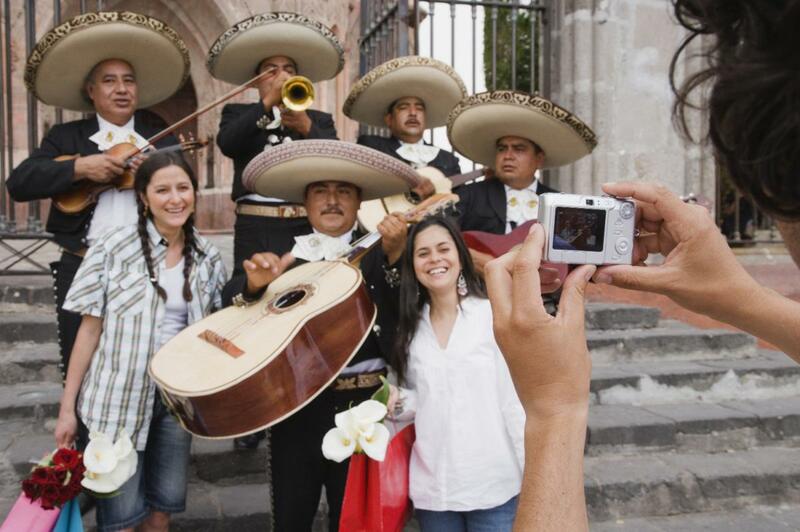 Cinco de Mayo is a day to have fun and learn something new about other cultures and traditions. Get the most out of this upcoming Cinco de Mayo in Austin by heading over to one of these fun celebrations! If you want to know more about Cinco de Mayo in Austin and the latest Austin events, register on 512area, your free guide to all things Austin.